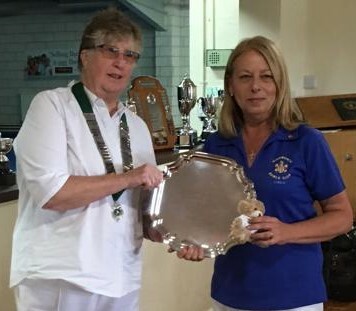 With Highworth represented in five different finals at Westlecot on Sunday 16th September there was always the possibility of winners and losers and so it turned out. Linda Young had a test of stamina and concentration having to play in four of the five, virtually staying on the green all day, whilst Jo Hicks had two matches to play and Maggie Jordan and Ashlee Lin featured in one each. 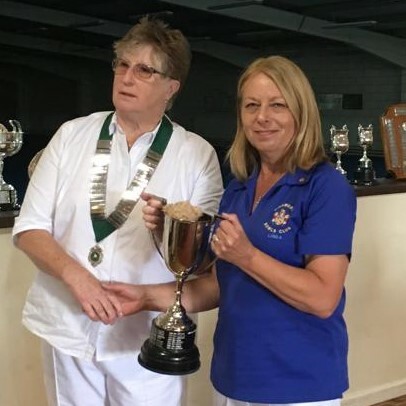 First up for Linda was the Champion of Champions, playing Charlie Godwin of Wootton Bassett, for which she came through with a 21 – 13 victory. 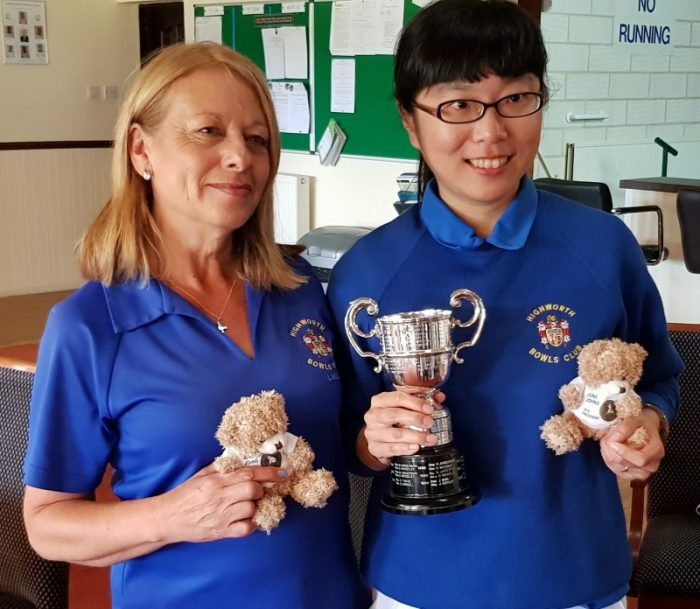 Following a brief break, it was on to the 2-wood Singles final against Laura Latham of Town Gardens, this time Linda recording a 16 – 9 success. Meanwhile Jo was up against Charlie Godwin in the 4-wood Singles and found it was not to be her day, going down to a 9 – 21 loss. Linda’s third final was the Pairs, with Ashlee Lin at lead. The Highworth pair got off to a dream start, leading 16 – 0 before their Supermarine opponents. Ann Andrews & Marilyn Kilburn, got on the scoreboard with a 4. 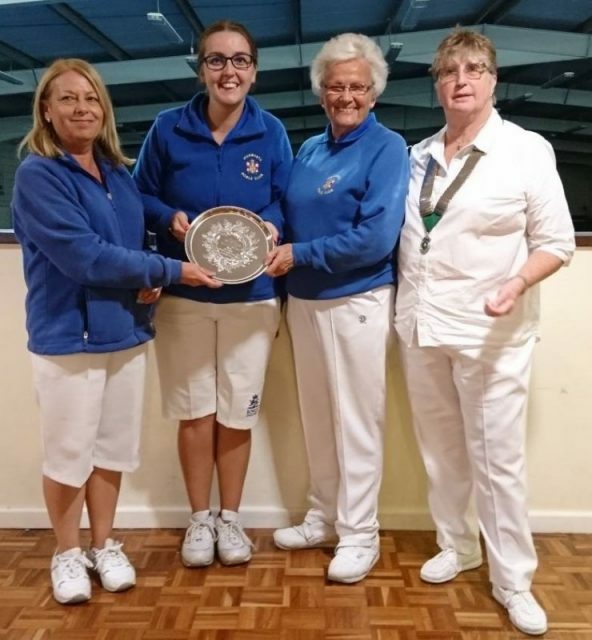 After 15 ends the score stood at 21 – 7, but end 16 of the scheduled 21 proved to be the final end when Ashlee and Linda weighed in with a 7, the Supermarine ladies deciding then to concede the match. So a hat-trick of title for Linda to add to her tally of titles, but a first for Ashlee, who only came to the sport in 2015 with no prior experience. The last final of the day was the Charity Triples and saw Highworth’s Maggie Jordan, Jo Hicks and Linda Young take on a Wootton Bassett trio skipped by Charlie Godwin. The match was tight all the way and after the regulation 21 ends were completed the scores were tied at 17 apiece. The resulting extra end saw Wootton Bassett take the end and the title. 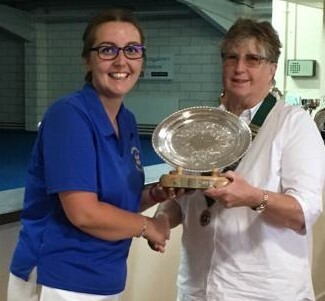 Regardless of winning or losing on the day, Highworth ladies, and indeed everyone at the club, can be extremely proud of their achievements across national, county and Swindon competitions over the season and can look forward to 2019 with great optimism.